It was lovely to see all the ladies and even some gentlemen at the Mothers Union Singout at The Holy Trinity Church, Dean Street, Blackpool. There was excited chatter as we made our way into the cosy main building. As the audience took their seats we even recognised some familiar faces as some of the residents of The Kingfisher care home had come along to be our groupies for the afternoon! We sang our way through our repertoire with a love of the songs that many hold so dear. Everyone enjoyed our moves when we sang The 59th Street Bridge song – We were all feeling groovy! Then we went courting with Under the Boardwalk, Da Doo Ron Ron and One Fine Day. The audience and guests loved our two new songs Amazing Grace and The Lord is my Shepherd. 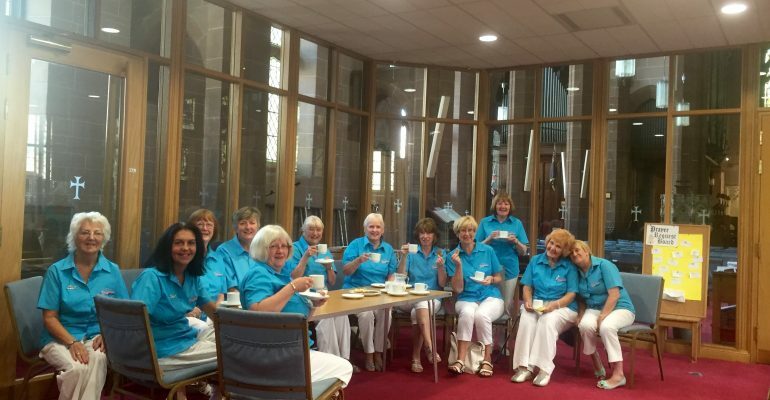 When our sing-out event came to a close our Soundwaves ladies mingled with The Mothers Union guests and our Kingfisher groupies over tea and some fabulous biscuits. Such a lovely afternoon spent in such great company.